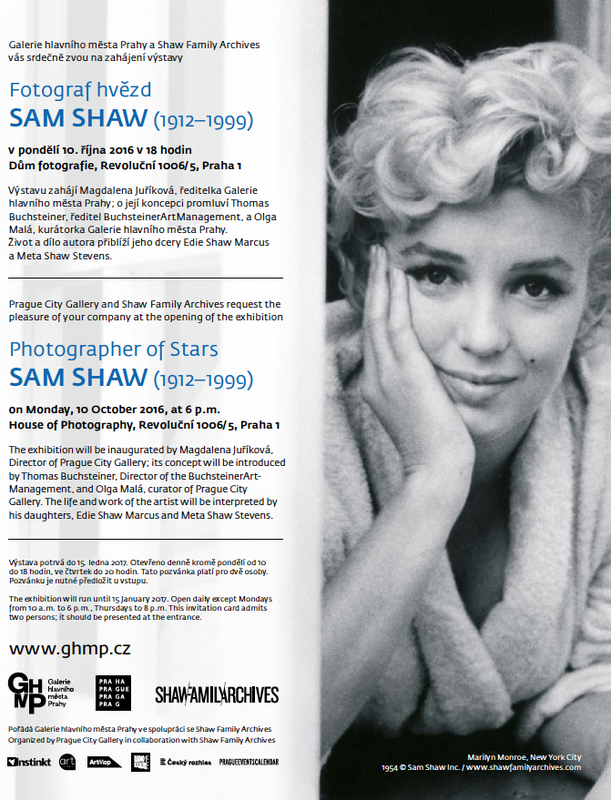 Prague City Gallery and Shaw Family Archives cordially invite you to the Sam Shaw: 60 Years of Photography exhibition opening reception at the Prague City Gallery – House of Photography on Monday, October 10th at 6pm. Celebrating the opening will be Magdalena Juříková, The Director of Prague City Gallery, Thomas Buchsteiner, Director of BuchsteinerArt-Management, Olga Malá, curator of Prague City Gallery, Edie Shaw Marcus and Meta Shaw Stevens, Sam Shaw’s daughters, and Lorie Karnath, author of the exhibition catalog.On view through January 15, 2017. Copyright © 2016 Shaw Family Archives, All rights reserved.